What is the definition of an otoplasty? An otoplasty is an operation to correct protruding ears. What are the objectives of surgery for protruding ears (otoplasty)? An otoplasty consists of pinning back the ears by correcting anomalies in the cartilage which are responsible for the appearance of protruding ears. 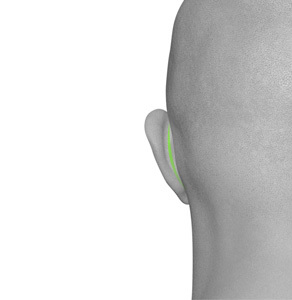 An otoplasty usually concerns both ears but can be performed on just one ear. 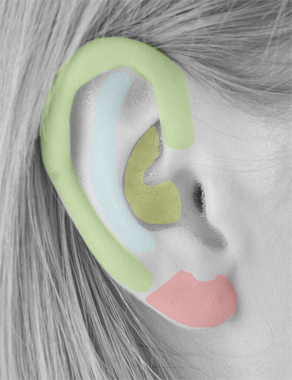 What are the different causes and aspects of protruding ears? From what age can an otoplasty be carried out? Surgery for protruding ears (otoplasty) can be performed from the age of 7 , as long as the child expresses their wishes in this regard. The skin incisions involved in an otoplasty are perfectly concealed. The incision is positioned behind the ears in the natural fold. Surgery for protruding ears (otoplasty) can be covered by health insurance on the sole condition that a psychological impact is present.